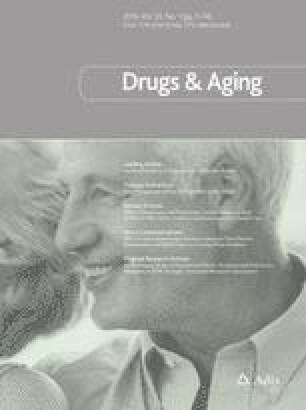 Proven interventions to reduce adverse drug reactions (ADRs) in older hospitalised patients are lacking. Previous randomised controlled trial (RCT) data indicate that a structured pharmacist review of medication (SPRM) can reduce inappropriate prescribing in older hospitalised patients. However, no RCT data show that an SPRM reduces ADRs in this population. We performed a cluster RCT comparing a clinical decision support software (CDSS)-supported SPRM intervention with standard pharmaceutical care in older patients hospitalised with an acute unselected illness. Over 13 months, we screened 1833 patients aged ≥65 years admitted to specialist services other than geriatric medicine for study inclusion. We randomised 361 patients to the trial intervention arm and 376 patients to the control arm, applying the intervention at a single timepoint within 48 h of admission. The primary endpoint (ADR incidence) was assessed at 7–10 days post-admission or at discharge (whichever came first). The secondary endpoints were the median hospital length of stay (LOS) and hospital mortality rate. Attending clinicians in the intervention group implemented 54.8 % of SPRM/CDSS prescribing recommendations. Ninety-one ADRs occurred in 78 control patients (20.7 %) compared with 61 ADRs in 50 intervention patients (13.9 %), i.e., an absolute risk reduction of 6.8 %. The number needed to treat (NNT) to prevent one patient having one ADR was 15; the total NNT to prevent one ADR was 14. The median LOS and hospital mortality were not significantly different. An SPRM delivered on a CDSS platform significantly reduces ADR incidence in acutely hospitalised older people. A funding body (Health Research Board of Ireland: HRA_HSR/2010/14) grant funded this work. All authors have completed the Unified Competing Interest form at http://www.icmje.org/coi_disclosure.pdf (available on request from the corresponding author) and declare the following: David O’Sullivan and Marie O’Connor were funded by a Health Research Board Ireland grant to conduct this research using the STOPP/START criteria. Denis O’Mahony and Stephen Byrne were members of the development and validation team that created the STOPP/START criteria and are named on a patent of computer software which used these criteria. Paul Gallagher was a member of the development and validation team that created the STOPP/START criteria. Shane Cullinan, Richard O’Sullivan, James Gallagher and Joseph Eustace have no conflicts of interest relevant to the content of this study. The trial protocol was approved by the biomedical ethics committee (institutional review board) of the University College Cork teaching hospital network. David O’Sullivan, Denis O’Mahony and Stephen Byrne wrote the manuscript. David O’Sullivan, Denis O’Mahony, Stephen Byrne and Joseph Eustace analysed the data. David O’Sullivan, Denis O’Mahony and Stephen Byrne designed the research. David O’Sullivan, Marie O’Connor, Paul Gallagher, Shane Cullinan, Richard O’Sullivan and James Gallagher performed the research. WHO. Guidelines for ATC classification and DDD assignment. 2011. http://www.whocc.no/filearchive/publications/2011guidelines.pdf. Accessed Sept 2015. World Health Organisation (WHO). Causality assessment of suspected adverse reactions. http://who-umc.org/Graphics/24734.pdf. Accessed Sept 2015. University College Cork. Adverse drug event prevention using structured pharmacist review [ClinicalTrials.gov identifier NCT01467128]. US National Institutes of Health, ClinicalTrials.gov. http://clinicaltrials.gov/show/NCT01467128. Accessed 2 Nov 2015.